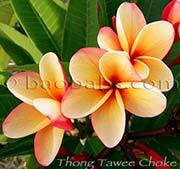 A must among the frangipani! 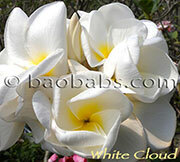 Gorgeous, sweetly scented blossoms. Beautiful blooming and unique color composition. 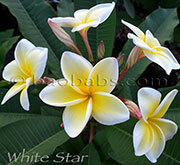 Deep p. . . .
Large white and yellow flowers with narrow, long petals, strong upright grower.. . . .
Pinwheel shaped flowers display a strong red and yellow-orange color combination of 3" to 4" in diameter. Mild, sweet fr. . . .
Means gold peaceful luck. 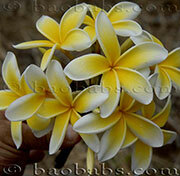 3.0 to 3.5 inches flowers Orange, yellow, white and maroon with golden orange throat. 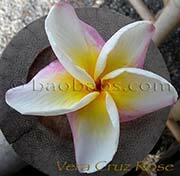 Petals o. . . . 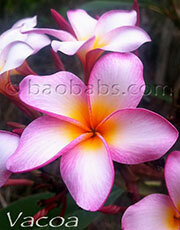 Beautifully shaped, brightly colored 4" blooms with heavy streaks on a predominately pink background. 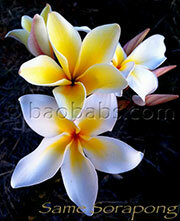 No two flowers are. . . .
White with pink edged petals, with a strong red to yellow center. 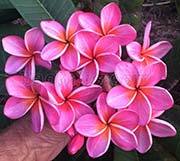 Thick petals and big blooms. 3-3.5”. Overlapping ro. . . .
Not the same Tornado as sold in the USA. 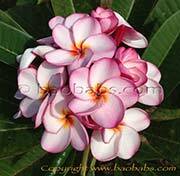 Round 2.5" (6.0 cm) flowers, pink with lighter pink areas and orange markings s. . . .
Large flowers 3.5 -4 (7,5-10cm) in huge clusters of 30 -50 flowers per bunch. 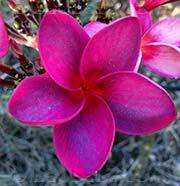 Rainbow swirls of red/rose on the edges o. . . .
Large trumpet shaped flowers of heavy substance with overlapping petals. White, increasingly yellow towards center. 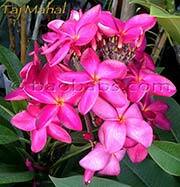 Flow. . . .
Large 3.5 to 4 ( 9-10cm ) magenta colored flowers with yellow throat. 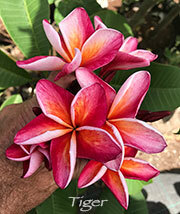 Petals : separated and slightly twisted, red-pink . . . .
One of the best red varieties ! 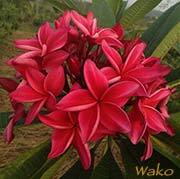 Dark red 3" ( 7.50 cm ) star-shaped flowers with separated petals. 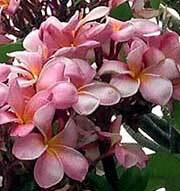 Fragrance: sweet, med. . . . 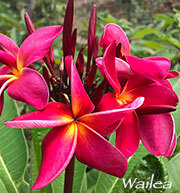 Most desirable plumeria for fragrance. 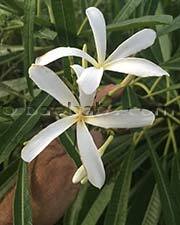 The flowers are medium to large 3 1/2 inches and brilliant yellow, with a broad w. . . .
Plumeria Stenophylla leaves are shiny, long and thin. 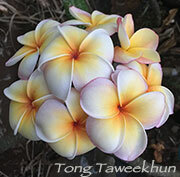 The flower petals are also long and thin, resembling to those of. . . .